Last updated: August 31st, 2018 Did you know that fidgeting can actually improve performance in kids and adults who suffer from ADHD, autism, OCD, anxiety or stress? According to a study conducted at the UC Davis MIND Institute, subjects who moved more intensively also experienced heightened cognitive performance. This is the reason why it may be important for you to stop telling your loved ones to ‘Quit fidgeting’, and start giving them ADHD fidget toys to play with instead. I’ve always been someone who can’t resist bouncing my knee, feeling my hair, or fiddling with whatever’s in front of me. So, that’s why I figured it’s time to start researching the best ADHD fidget toys for both kids and adults, so that everyone with ADHD can perform better for school, work and life in general. These are the 20 best fidget toys for ADHD I could find online, and I’ll surely be grabbing one or two for personal use as well. Who it’s for: Adults with smaller-sized hands and children. Ideal for office meetings, or staying calm in the classroom. 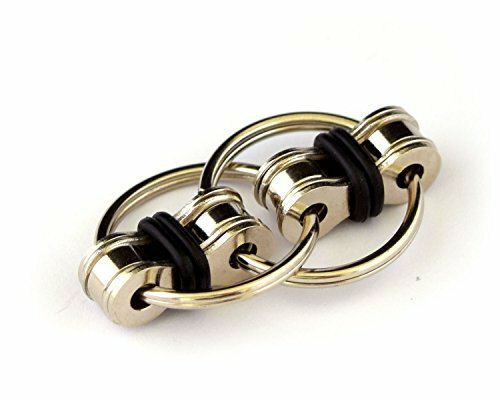 The Flippy Chain Fidget Toy is said to be ‘like a treadmill for your fingers’. Why it’s good: Relatively inexpensive, extremely portable, and comes with a no-questions-asked money back guarantee. Plus, everyone loves to play with rings (this toy is addictive). 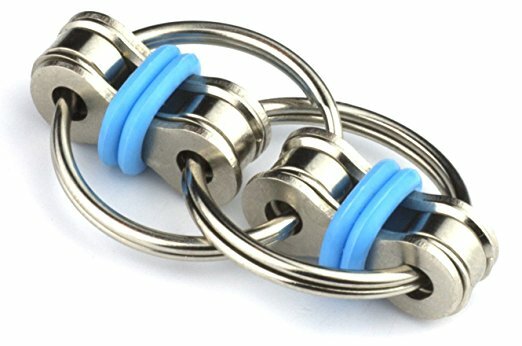 Where to buy: You can see the Flippy Chain Fidget Toy on Amazon. Who it’s for: Older children and adults love to play with worry stones, as they fit in the palm of your hand, and are naturally comforting. These worry stones often have a small indentation that fits the thumb nicely. You can rub these stones together, or just feel the texture of these stones, and enjoy the soothing stress relief. Why it’s good: Worry stones feel cool to the touch, and are often used by therapists to give to patients. 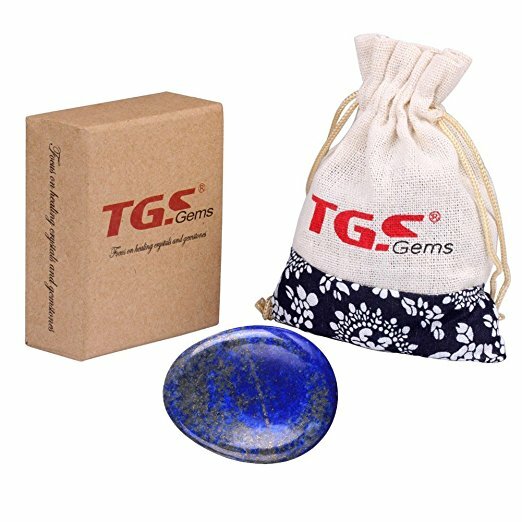 Where to buy: You can find TGS Gems Irish Worry Stones on Amazon. Who it’s for: Older children and adults benefit from this “energy jewelry” which is technically meant to be used for spiritual practices (like prayer or meditation). But, these natural gemstones that feel so good that they work amazingly well as a fidget toy. Why it’s good: This set of Buddhist Prayer Beads is made with real gemstones and an elastic cord – so it will stretch, and adapt to how you want to use it. 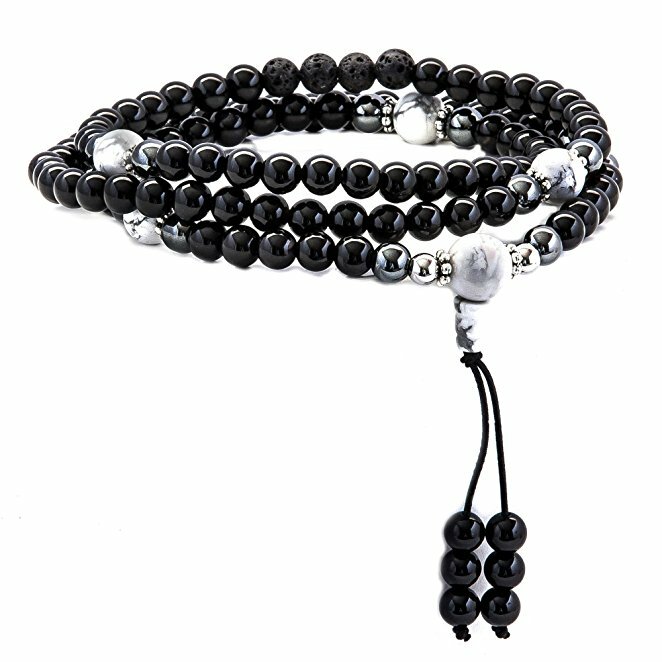 People use these prayer beads as a necklace, bracelet, anklet and “desk toy” for playing with during times of heightened stress. Where to buy: You can see the Buddhist Prayer Beads on Amazon. Why it’s good: Relatively inexpensive, fun to use, and works as a replacement for smartphone or tablet addictions. 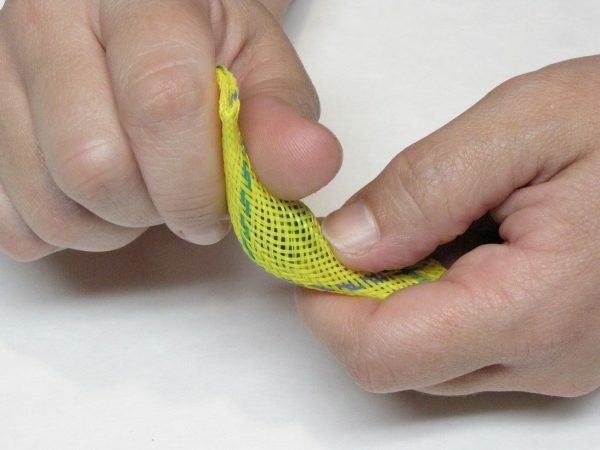 Tangles are also built with quality individual parts that are designed to be taken apart and reassembled. This is a great option for waiting rooms, car rides, classrooms and other environments that require children to sit idle for long periods of time. Where to buy: You can see the Tangle Jr. Original Fidget Toy (set of three) on Amazon. 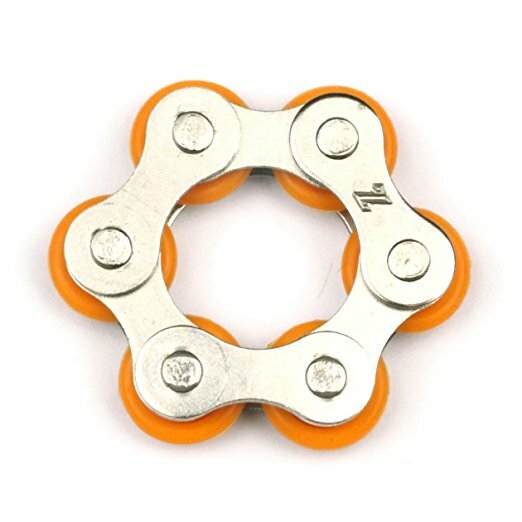 Who it’s for: The Roller Chain Fidget Toy Stress Reducer is an excellent fidget toy for children and adults with ADHD. Why it’s good: This toy is used by children, adults, teachers, and business professionals with ADHD because it’s small, silent and easy to play with. It can easily fit in your pocket. So, this toy is truly excellent for various age groups. Where to buy: You can see the Roller Chain Fidget Toy Stress Reducer on Amazon. Who it’s for: Children and adults in search of physical stimulation, stress relief, refocusing or fun. Why it’s good: Each Boinks Fidget contains a marble that feels stimulating to roll around using your fingers. They are convenient for keeping in your pocket, quiet to use, and machine washable. Boinks Fidgets also come in an assortment of colors, and are made in the USA. Where to buy: You can see Boinks Fidgets (package of 6) on Amazon. Who it’s for: Children and adults who benefit from a squishy sensory toy experience. Why it’s good: Put these beads in a bucket, fill with a gallon of water, and wait 6-8 hours as the beads ‘grow’ before your eyes. Provides a great sensory experience for children with ADHD, anxiety or autism. 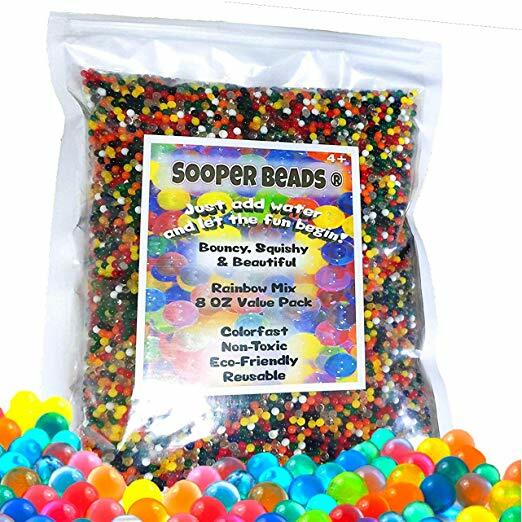 Where to buy: You can see Sooper Beads (8 oz. Pack – Almost 20,000 Beads) on Amazon. Who it’s for: The Think Ink Pen is an awesome fidget toy that’s intended for people who love to mess around with their pen. This toy is great for older children and adults. 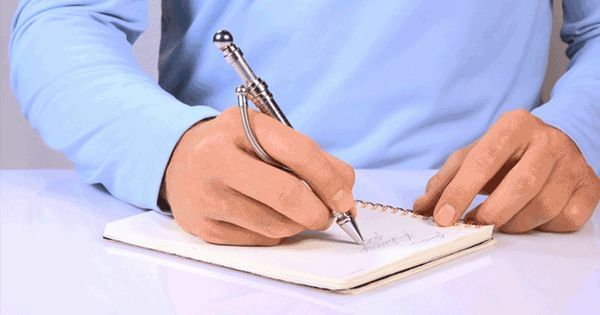 Why it’s good: If you like to fidget, then you probably know how easy it is to annoy people with your pen. Between biting on your pen, clicking it, and twirling it around – there are so many easy activities that you can perform with your pen. But now, the Think Ink Pen is made to give you so many other ways to fidget with your pen. They actually call this a fidget tool, rather than a fidget toy. That’s because you can bend, twist, spin, slide and do so much more with the Think Ink Pen. Where to buy: You can see the Think Ink Pen on Indiegogo. Who it’s for: Great for all ages, including children and adults. This is also a popular toy for teachers to keep in classrooms. Why it’s good: It’s difficult to find a stress ball that you actually enjoy playing with time and time again. But, these Squishy Stress Balls are made to be squeezed hard without breaking. So, they’re excellent for kids and adults who suffer from ADHD, anxiety, emotional issues or high stress. Where to buy: You can see the Squishy Stress Balls on Amazon. Who it’s for: Ideal for therapists, teachers, children and adults who want a rubberized toy to play with. 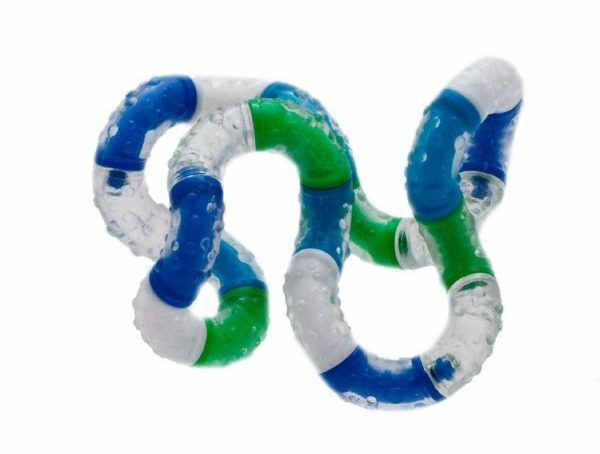 Why it’s good: The Tangle Relax Therapy toy is bendable, ergonomic and perfect for those who need something that’s easy-to-hold and fidget with. It’s also budget-friendly, and an extremely popular item that’s purchased frequently. Where to buy: You can see the Tangle Relax Therapy toy on Amazon. Who it’s for: This toy is popular with children, because it’s super quiet and discreet (perfect for using in the classroom). However, the Stephie Fidget Toy can be used by adults too. Why it’s good: People claim that the Stephie Fidget Toy feels ‘oddly satisfying’ to use. It’s perfectly silent, so it’s excellent for children and adults who need to fidget without making a scene. Where to buy: You can see the Stephie Fidget Toy on Amazon. Who it’s for: The Monkey String Jumbo pack is great for kids aged 3 and up. It’s especially useful for teachers and classrooms, too, because this 500 piece jumbo pack comes with plenty of wax sticks for everyone to play with. Why it’s good: 500 pieces of Monkey String is more than enough to go around. So, this is a great fidget toy for multiple kids with ADHD, special education classrooms, and normal classroom environments. 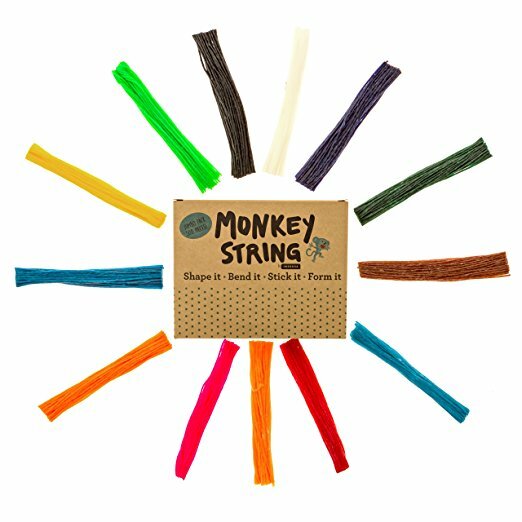 Where to buy: You can find the Monkey String Jumbo Pack on Amazon. Who it’s for: Hand Therapy Putty is typically recommended by occupational therapists because of how amazing it can be for fidgety hands. This putty is excellent for both children and adults. Why it’s good: If you or your child needs something to play with – this Hand Therapy Putty is similar to “Silly Putty” in that it can be played with for hours at a time. However, I recommend this Hand Therapy Putty from Humactive because this putty is non-scented, reusable and made in the USA. Also, when purchasing this product, please make sure to choose the correct size and resistance level that’s appropriate for you or your child. Where to buy: You can view the Hand Therapy Putty on Amazon. 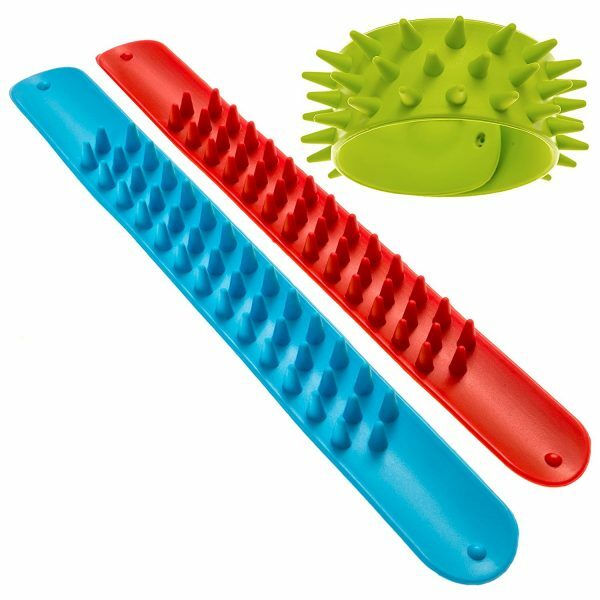 Who it’s for: These safe, flexible, silicone rubber Spiky Slap Bracelets are great for everyone over the age of 3 years old. This product is enjoyed mainly by kids and teens. But, they’re suitable for adults who like to have a bit of fun, too. Why it’s good: Spiky Slap Bracelets promote a sense of calmness and relaxation that’s especially beneficial to those with ADHD, OCD or any other form of autism. Best of all, the bracelets can be enjoyed at school, at home or in the office. Where to buy: You can find the Spiky Slap Bracelets (3 Pack) on Amazon. 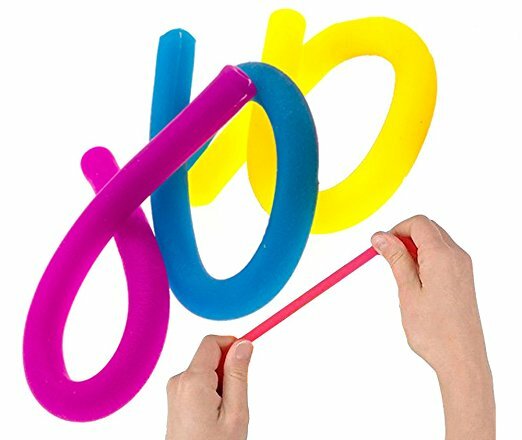 Who it’s for: The Stretchy String Fidget is awesome for children over the age of 3 who like to stretch, feel and play with elastic materials. However, adults claim to love this toy just as much as children do. Why it’s good: This toy is made with quality custom materials that can be stretched and pulled into any shape, and then return back to its original state. It’s great for using in the classroom, home, office or anywhere else you like to fidget. Where to buy: You can see the Stretchy String Fidget on Amazon. Who it’s for: The Spiky Sensory Balls are excellent for children above the age of 3. Why it’s good: These fidget balls are great for ADHD children who also have sensory issues. If your child needs to feel different textures in order to feel stimulated, this is an excellent set of sensory balls to use. 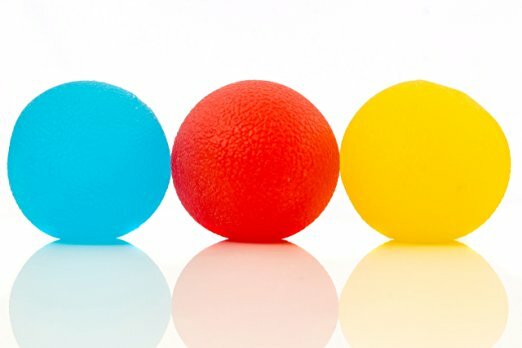 These sensory balls can be squeezed, bounced on the ground, and tossed back and forth between children. 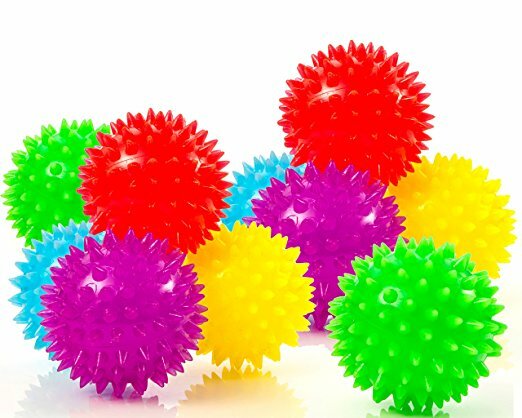 Where to buy: You can see the Spiky Sensory Balls on Amazon. This product is is now available as of January 2018. 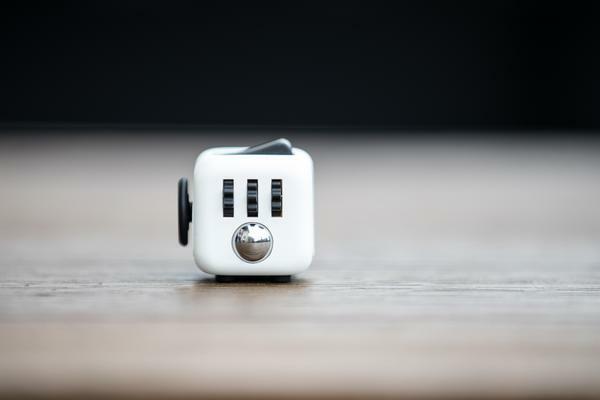 The Fidget Cube has turned out to be an excellent product, and could be the best fidget toy on this list. Who it’s for: The Fidget Cube is ideal for adults in the workplace who need a fidget toy that has a professional appearance. I can imagine this product being a massive hit with office employees, therapists, counselors, artists, or any adult with ADHD. Best of all, I foresee this product being a huge hit with kids too. The company behind Fidget Cube officially recommends this product for use by adults and school-aged children (above three years old). Where to buy: Please see Fidget Cube on Kickstarter.com for purchasing information. Who it’s for: Great for children aged 3 and up. Also loved by adults everywhere. Why it’s good: The FidgetWorks Bike Chain Fidget Toy is made in the USA, with high-quality materials, and uses silicone rubber rings that feel good to the touch. It’s also resistant to rust, and is quiet enough for discreet fidgeting. Where to buy: You can find the FidgetWorks Bike Chain on Amazon. Who it’s for: The Monkey Ring is for children, adults, therapists, students or anyone who suffers from ADHD, Sensory Processing Disorder (SPD), anxiety and similar conditions. Why it’s good: These rings are awesome because you can twist, squeeze and throw these toys without causing any damage to them. They provide excellent sensory stimulation, and are completely hypoallergenic and nontoxic. 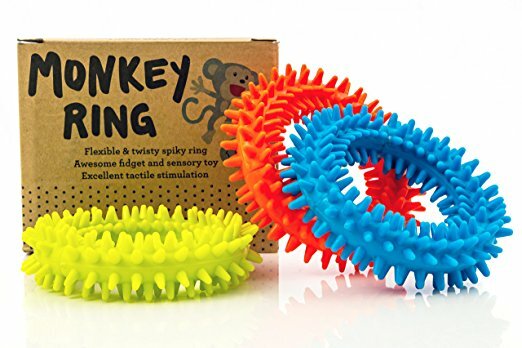 Where to buy: You can see the Monkey Ring Spiky Sensory Ring Fidget Toy on Amazon. Who it’s for: Perfect for schoolchildren, parents and teachers. 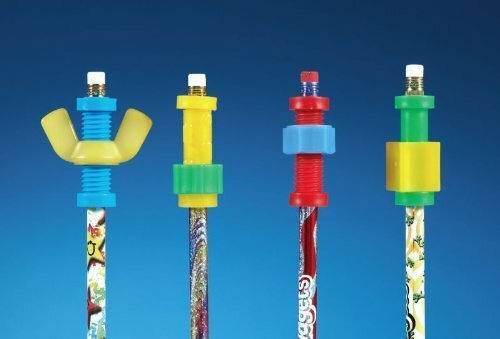 Why it’s good: These fidget toppers attach to the tops of pencils, and come with a wingnut, nut & bolt, snap & spin, and bump & run. This set of fidget toppers actually comes with pencils. However, the toppers are also removable and reusable (can be used on other pencils as well). These are perfect for helping the ADHD mind focus while taking care of classwork or homework. Where to buy: You can see the Pencil Finger Fidget Toppers With Pencils on Amazon. 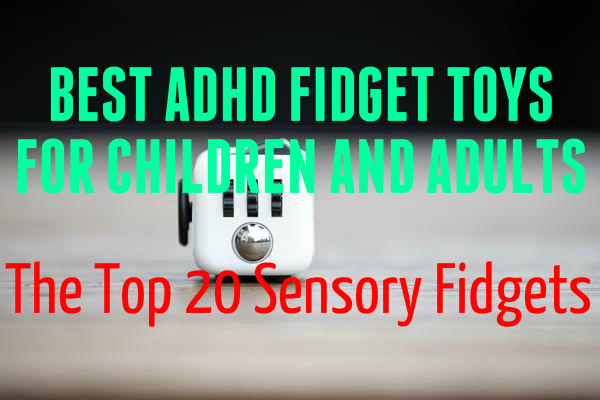 I hope that this list of the top ADHD fidget toys and sensory toys helps you tremendously with your ADHD, anxiety, OCD or even just your level of stress. Finding a great toy for you or your loved one’s can play a massive role in helping to calm, relax or stimulate the ADHD mind. These toys can even serve as a natural ADHD remedy that helps you cope with ADHD. If you have any other fidget toy suggestions that you think need to be added to the list, please make sure to comment below. Thanks for reading. I am not exactly sure who to direct this to as I came across your website as I was researching an idea that I have had for a new type of toy/fidget gadget to help people with picking/peeling disorder. I was doing market research and trying to see if any similar products exist when I stumbled across this company. I was curious if you work with inventors or idea people to help bring an idea to life? Please let me know how this process works with-in your company! Thanks for the comment Philip! You have a very cool idea. But I’m just a blogger, and not a fidget toy creator. I suggest chatting with manufacturers on Alibaba or Aliexpress. Take your idea to market, and see how it goes. You don’t need anyone’s permission to move forward with your idea. Getting tired of only finding fidget toys designed for hands. He needs to fidget WHILE doing school work so hand-stuff is not appropriate. Currently I am trying to locate some pedals to go under his desk so he can fidget with his feet and hopefully get some work done. They’d have to be silent so as not to distract the other kids. Thank you so much for the comment Gillian. I will look into this for you and shoot you an e-mail if I find anything (don’t worry – your e-mail address is private and only I can see it).